We finally got a Farm Bill passed that was signed into law by the President in February. This has been a three year project and while not perfect, it at least continues some of the farm programs. The bill does include some favorable provisions such as the dairy insurance program that will benefit the smaller dairy farms in Connecticut. The bill also enacts several new provisions for environmental and conservation programs. Some of the programs included in the Farm Bill are the Healthy Food Financing Initiative, National Organic Program, Specialty Crop Block Grants and SNAP. They expanded the use of SNAP benefits to include use at Farmers Markets. The law did terminate the direct crop payment program which according to what I am told, will save $5 billion a year. In its place they will implement a crop insurance program. The US Department of Agriculture will now have to digest the 1000 page plus bill and work out details of the bill. I understand that they have temporally continued the milk subsidy program until the details of the new programs are set. One of the interesting occurrences with the Farm Bill is that none of Connecticut’s Congressmen or Senators voted in favor of the bill. We reached out and asked why the Connecticut delegation did not support the Farm Bill in the end. Earlier we had been told by different congressional and senatorial offices that most would be supporting the Farm Bill. The response that we got was that they recognized that bill contained several favorable provisions and represented a significant step forward for the agricultural economy. The Senators and Representatives felt that they could not support the bill because of cuts to the Supplemental Nutrition Assistance Program (SNAP) that had been included in the Bill. They responded that they felt that the cuts would be very detrimental to many of their constituents. The cuts would disproportionally impact our state’s struggling families. They were especially critical of the increase in the “Heat and Eat” threshold. Connecticut, along with other states, allows families who are receiving, sometimes minimal, energy assistance to be eligible for SNAP benefits, which increases the overall benefits for needy families. The bill increased this threshold which SNAP assistance can be provided and this would negatively impact SNAP participation in our area. Now that we are reaching better weather and Granges are reawakening after our winter we should start looking at resolutions we can present to our Granges. 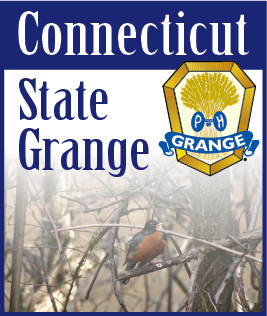 If you have any thoughts on a particular topic that you would like the Grange to pursue, write a resolution. Once it is presented to your local community Granges. The resolutions should also be presented to your Pomona Granges for action before submitting them to the State Grange. Not all resolutions need to be a state or national issue. Resolutions could be on a topic concerning your local community on which your Grange would like to make a statement. These would not have to be passed on up the line to State Grange.